Full Description: From the Ruth Askew Collection. 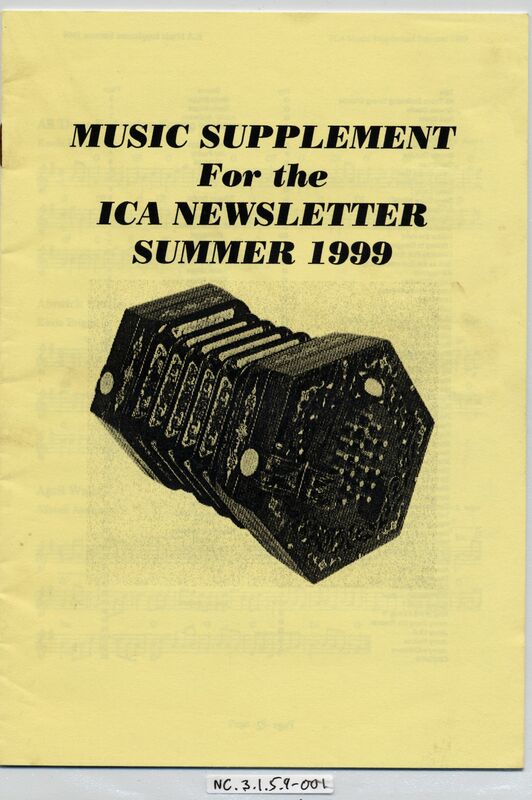 Two publications of the International Concertina Association a major source of information on the post-war history and revival of the concertina. 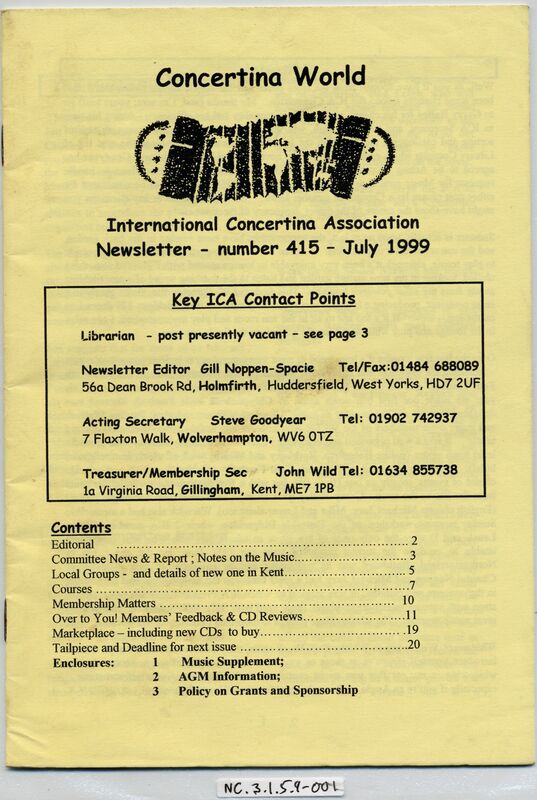 The items are the ICA Newsletter, No 415 of July 1999, and the Summer 1999 Music Supplement for the ICA Newsletter.